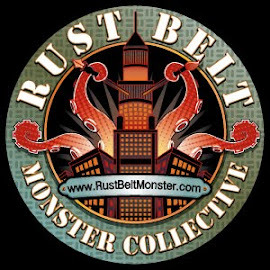 Rust Belt Monster Collective: Free Comic Book Day Mural! The Rust Belt Monsters could not have had more fun this weekend and Carol and John's Comic shop in Cleveland, Ohio. Tasked with creating a mural depicting the Marvel universe in the 1970's, we dove in head first and never looked back. A big thank you to John Dudas for bringing us into the fold and we really can't wait for next year.